The South African four-year-old was one of many minors illegally detained by the Lindela Repatriation Centre meant for adult undocumented migrants. The commission of inquiry into state capture, led by Deputy Chief Justice Raymond Zondo, has exposed the corruption of facilities management company Bosasa, who bribed their way to become a preferred government service provider. This bribery has resulted in tenders for work the company clearly was not able to perform adequately. 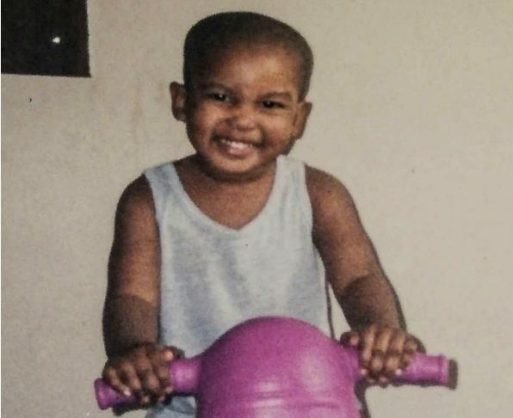 The Mail & Guardian has released a report highlighting this through the sad story of Sinoxolo Hlabanzana, a four-year-old who died after being illegally detained at the Lindela Repatriation Centre. Lindela, in Krugersdorp, is where undocumented migrants are detained before being deported. While officially a government centre, the running of it has been outsourced to Bosasa since 2003. While the centre is meant to detain and deport those who are in South Africa illegally, this didn’t stop them from putting Irene Malumbu and her four-year-old nephew in a cell for two weeks, despite the fact that Congolese Malumba was in the country legally and simply could not find her papers, and that Hlabanzana was South African. A report released in 2016 details how the centre has illegally detained scores of minors. Hlabanzana was finally sent to Leratong Hospital after Lindela’s inadequate medical facilities exacerbated the fever and diarrhoea he had contracted. By then it was too late. Malumba said the centre’s medical ward was completely empty of equipment and they didn’t even give the toddler a Panado. She had not been allowed to stay with the child and was promised someone would take her to see him the next morning. Instead, she was informed that he had not made it through the night. “Mommy, don’t leave me,” were reportedly his last words to Malumba. Little Sinoxolo, who shouldn’t have even been there in the first place, is by no means the only death reported at Lindela. Twenty-one people died there within eight months in 2005. Incredibly, Bosasa’s R950 million contract to run the centre, including its medical facilities, was renewed just three months later. In 2015 it was renewed yet again, meaning that Bosasa will run Lindela until at least 2020. The full, devastating story of Sinoxolo Hlabanzana’s death can be read here. Former Bosasa COO Angelo Agrizzi detailed the intricate way in which Bosasa was able to get tenders for work it was ill-equipped to provide. The company used a system to allegedly launder money and pay bribes using a web of fictitious companies, cash cheques, and fake invoices in order to win government tenders. Agrizzi told the Zondo commission that Bosasa and its chief accountant were involved in forming small “arms-length companies” with a short lifespan and using them to generate fake invoices. He said the invoices paid out by Bosasa would later return to the company’s secret vaults as hard cash used to pay bribes. Bosasa changed to a new system of drawing up dummy employees and issuing cash cheques after the Special Investigation Unit had picked this up. All this was done, Agrizzi said, in order to cheat the tax authorities. “There would be companies that we eventually had to start up, register them, do the payments and then liquidate them when everything had been paid,” he said in his testimony, referring to the second batch of his three thick affidavits. “Basically the purpose of starting these companies was to facilitate these corrupt payments. There were a number of these companies but I think I remember five of them. “The method of concealing cash was issuing a cash cheque and fake invoices and cashing it at the bank, using companies that were near liquidation. They would issue fake invoices that had no VAT numbers. These were small companies, like Kgetlo Events, that had no VAT exposure and when I queried I was told that it was because they would not be queried by tax authorities. Agrizzi detailed how a middleman had worked out a system in which Bosasa would pay Jumbo Liquor Wholesalers a large sum of money for an order of alcohol. At least a week later the middleman would deliver the exact amount of money Bosasa paid for liquor, taking a 5% to 7.5% cut for himself. Bosasa would also fleece its own employees of their death benefits, exploiting the deaths of their relatives by writing two cheques, one for the actual benefit and another to pay bribes. When Bosasa employees suffered bereavements, the company would pay out an advance instead of waiting for the death benefit policy, recover the cash from the insurance company and use that money to pay bribes as well.